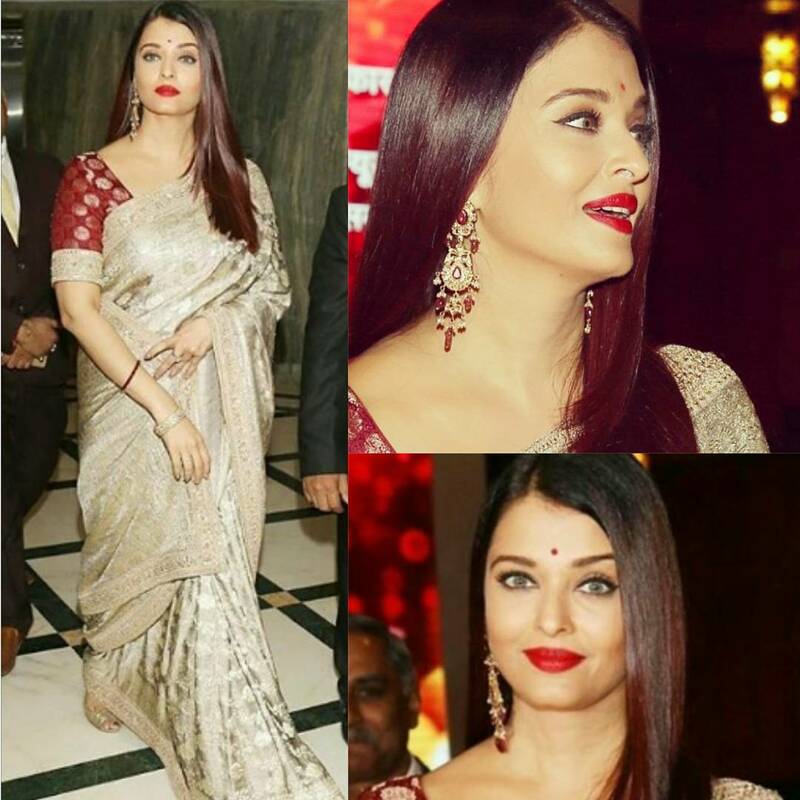 It was a Sabyasachi sari for Aishwarya while at the Women’s Achievers Awards held recently. 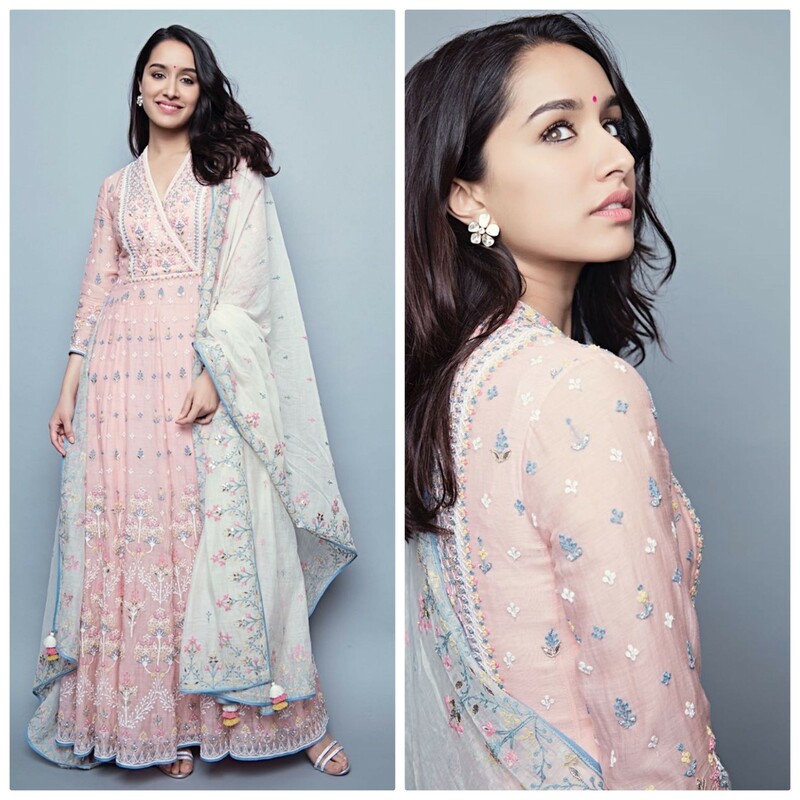 With her hair down, she rounded out the look with a contrasting maroon blouse, a pair of kundan earrings, her signature red lips and a bindi. The sari was lovely and I guess theoretically this look should work but practically it didn’t come together as expected, here actually the blouse was throwing off the look. Moreover I wish she opted for a deep red lip color instead of that orangey-red shade. You right about the shade of the lipstick..